Due to the exponential growth of biodiversity information in recent years, the questions of how to mobilize such vast amounts of data has become more tangible than ever. Best practices for data sharing, data publishing, and involvement of scientific and citizen communities in data generation are the main topic of a recent report by the EU FP7 project Building the European Biodiversity Observation Network (EU BON), published in the innovative Research Ideas & Outcomes (RIO) journal. The report “Data sharing tools for Biodiversity Observation Networks” provides conceptual and practical advice for implementation of the available data sharing and data publishing tools. A detailed description of tools, their pros and cons, is followed by recommendations on their deployment and enhancement to guide biodiversity data managers in their choices. “We believe publishing this report in RIO makes a lot of sense given the journal’s innovative concept of publishing unconventional research outcomes such as project reports. This feature provides projects like EU BON with the chance to showcase their results effectively and timely. The report provides a useful practical guide for biodiversity data managers and RIO gives the project an opportunity to share findings with anyone who will make use of such information”, explains Prof. Lyubomir Penev, Managing Director of Pensoft and partner in EU BON. The new report is the second EU BON contribution featured in a dedicated project outcomes collection in RIO. Together with the data policy recommendations it provides a comprehensive set of resources for the use of biodiversity data managers and users. 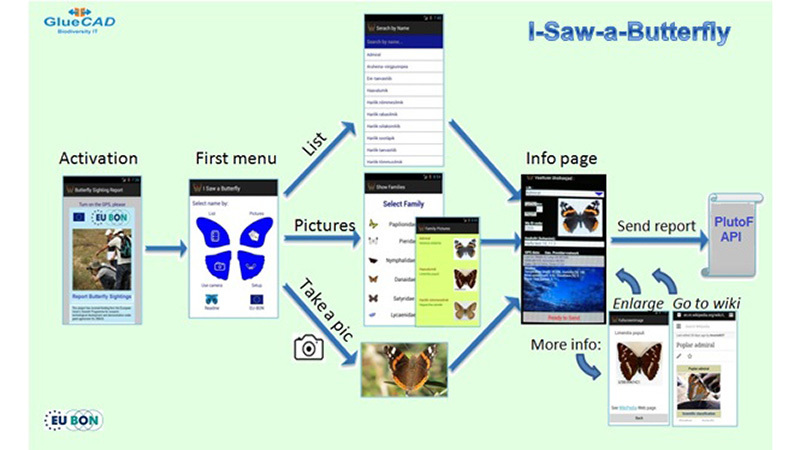 “We did our biodiversity data sharing tools comparison from the perspective of the needs of the biodiversity observation community with an eye on the development of a unified user interface to this data – the European Biodiversity Portal (EBP)”, add the authors. The scientists have identified two main challenges standing in front of the biodiversity data community. On the one hand, there is a variety of tools but none can as stand alone, satisfy all the requirements of the wide variety of data providers. On the other hand, gaps in data coverage and quality demand more effort in data mobilization. 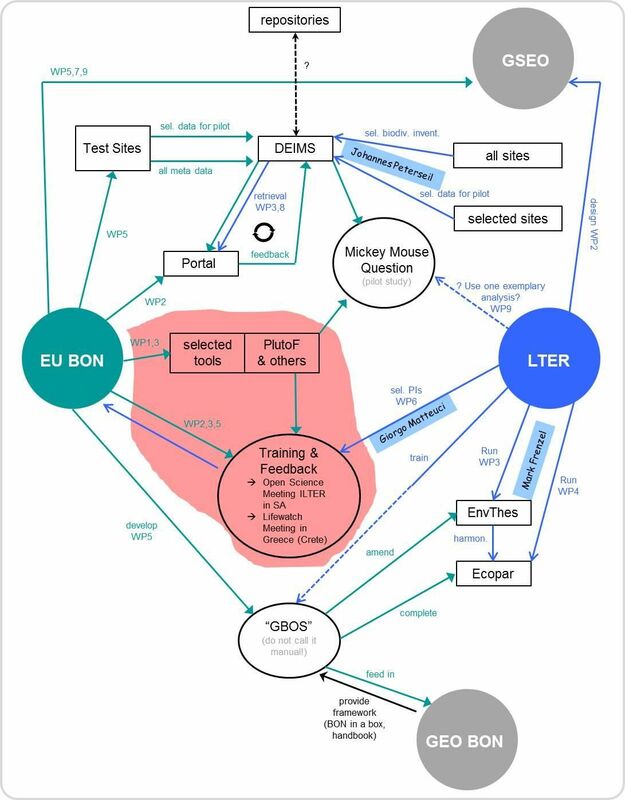 Envisaged information flows between EU BON and LTER Europe, showing the complexity of sharing biodiversity data (from the 3rd EU BON Stakeholder Roundtable, Granada on 9-11 December 2015). EU BON stands for “Building the European Biodiversity Observation Network” and is a European research project, financed by the 7th EU framework programme for research and development (FP7). EU BON seeks ways to better integrate biodiversity information and implement into policy and decision-making of biodiversity monitoring and management in the EU.